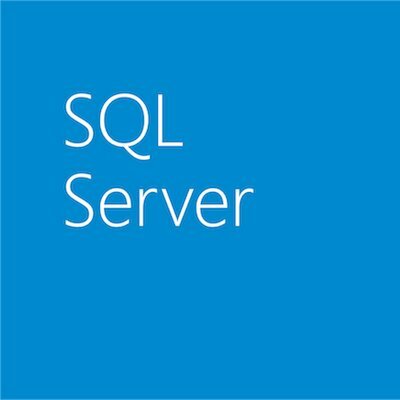 The SQL Server engineering team is pleased to announce the immediate availability of SQL Server 2016 August monthly public preview release CTP 2.3. This release fully embraced the “Cloud First” tenet, as this release build was deployed to SQL Azure Database service first, running in production prior to the release build. To learn more about the release, visit the SQL Server 2016 preview page. To experience the new, exciting features in SQL Server 2016 and the new rapid release model, download the preview or try the preview by using a virtual machine in Microsoft Azure and start evaluating the impact these new innovations can have for your business. Have questions? Join the discussion of the new SQL Server 2016 capabilities at MSDN and Stack Overflow. If you run into an issue or would like to make a suggestion, you can let us know using Microsoft’s Connect tool. We look forward to hearing from you! This preview release is packed with new features and improvements…. An exciting Core Engine Scalability improvement is made available in this release – dynamically partition thread safe memory objects by NUMA node or by CPU. This improvement will enable higher scalability of high concurrency workloads running on NUMA hardware. Thread safe memory objects (of type CmemThread) will be dynamically promoted to be partitioned by NUMA node or by CPU based on workload characteristics and contention factor. In SQL 2012 and SQL 2014, TF8048 is needed to promote memory objects that are partitioned by node to be partitioned by CPU. This improvement not only eliminated the need for the trace flag, and also dynamically determine partition based on contention. MERGE -> The rowgroup was compressed as part of MERGE operation that compressed one or more compressed rowgroups. DAX query performance improvement, optimizations to the Tabular engine. These optimizations are mostly focused around reducing the “chattiness” between client tools that use DAX and the server (and eventually the storage engine for both VertiPaq and DirectQuery storage modes). In addition to query optimizations, measure executions have been streamlined as well. DirectQuery enhancements. It now generates simpler queries that will provide better performance. Now includes support for variables in DAX. Variables can now store the result of an expression as a named variable, which can then be passed as an argument to other measure expressions. Once resultant values have been calculated for a variable expression, those values do not change, even if the variable is referenced in another expression. You can read the new SSAS post to learn more about these improvements. An updated version of Report Builder with a modern theme. Report rendering for modern browsers built on HTML5 standards. You can read the Reporting Services post to learn more about these improvements. New RuntimeLineage logging level to collect data for dynamic lineage. This function is provided through lineage library. There is a known issue that this feature doesn’t work upgrading from earlier preview build of SQL2016, the fix is work-in-progress. Query Execution with improved diagnostics for memory grant usage in this release. The following new XEvents added to facilitate better diagnostics of memory grant usage and issues. Showplan xml is extended to include memory grant usage per thread and iterator (additions in “RunTimeCountersPerThread” element). DBCC CHECKDB Improvements in this release include: 1) Persisted computed columns and filtered indexes validation. Persisted computed columns are frequently used. DBCC CHECKDB can take long time to complete with persisted columns. This improvement provides an option to do persisted column validation under EXTENDED_LOGICAL_CHECKS; 2) Performance improvement when validating a table with thousands of partitions.